A recruitment drive is well underway at the new Urgent and Emergency Care Centre at Rotherham Hospital in preparation for its opening in July 2017. The £12m centre is currently under construction by principal contractor, Kier Construction and the Rotherham NHS Foundation Trust are aiming to attract registered nurses (adult and children's), practitioners, doctors and GPs. Taking place on Saturday February 11 between 10am and 3pm, a recruitment event will give people the chance to speak to existing employees of the Emergency Department and the wider organisation, have a tour of the new Centre as well as finding out more about The Rotherham NHS Foundation Trust and plans for the future. Job adverts for all of the roles are being added to NHS jobs and there will also be the chance to apply at the event. Any nursing candidates will also have the opportunity to have their interview on the day too, which will significantly reduce the recruitment process. 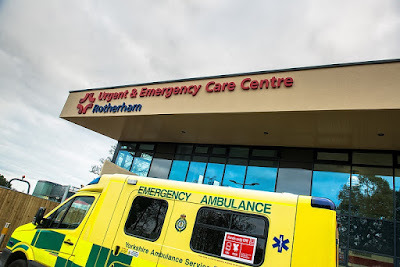 Mark Hill, Head of Nursing for Emergency Care at The Rotherham NHS Foundation Trust, said: "It's a very exciting time to join the Trust with the new Urgent and Emergency Care Centre due to open in July as well as the wider plans for the future we have as an organisation. We always want to provide our patients with the highest quality care and the new centre will allow us to continue this in a fantastic environment. "The recruitment event will give prospective employees a great insight into the organisation and in particular the new centre. There's already a great workforce at the Trust and in the Emergency Department who are dedicated to providing our patients with high quality care and we hope that we'll see lots of people at the event interested in becoming a part of our team." When it opens, patients who currently walk into Accident & Emergency (A&E) at the hospital will access care through the urgent care centre. It is set to operate 24 hours a day, 365 days a year. It involves the closure of the Town Centre Walk in Centre on Greasborough Road and transfer of the GP out of hours service. Staffed by highly skilled clinicians across the emergency department and primary care, the integration of skilled staff is expected to ensure that the most appropriate clinician will see the patient, reducing the need for handovers between staff and improving the patient flow. However the options proposed involve cutting the recurring costs for clinical staff from £5.5m to £4.6m. The Trust expects to be in a position to employ additional advanced care practitioners (ACPs) in place of middle grade doctors.